There wasn’t the internet back then so you learned by reading and talking with people in the know. I was ready for my next step. With those occasions as my only experiences with Portuguese wines, I concluded that cheap rosés and pricey ports were the only options. But a few months ago we were invited to a Portuguese wine tasting in East Aurora, hosted by Lisa DeCarlo at a beautiful Airbnb, The Graystone, that she and her husband own. The wines, reds and whites from Portugal, were amazing, enhanced by the backdrop of their beautiful space. Unfortunately, the wines we tried that evening were not available locally, but my search for them in the wine store led me to wines from a close neighbor: Spain. 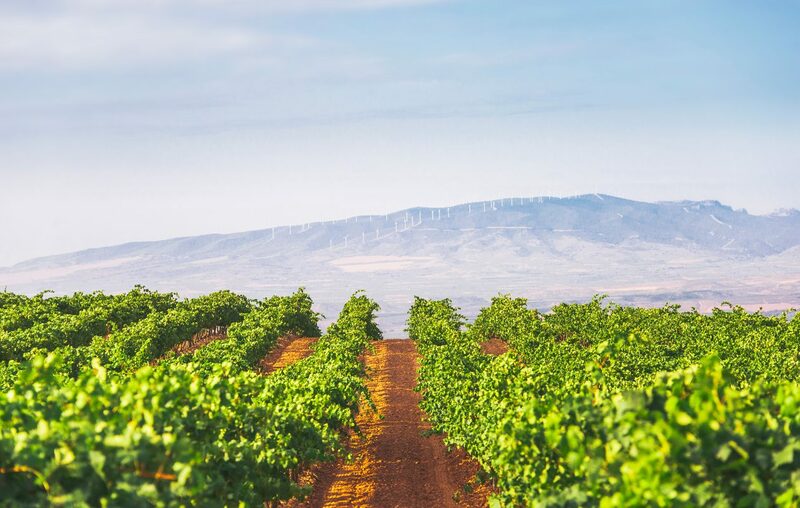 In the same spirit of trying (and enjoying) new things, we were inspired to sample some Spanish wines, and we discovered some terrific options at bargain prices. I’d buy any of these again. (Note there’s one French wine thrown in for good measure! Spain continues to produce excellent wines at reasonable prices, and this one is an amazing value. The quality of dark fruit, spice, nose and beautiful finish at this price point is almost unheard of. I recommend grabbing a case, and it should be good to drink over a few years. This stacks up to California wines that cost twice as much. Plenty of fruit, very nice spice and a beautiful finish. Try one bottle and you’ll be back for more. This wine is beautiful in the glass, with lots of dark berries. Highly enjoyable. Perfectly balanced and drinking beautifully, I highly recommend this wine. Tons of delicious dark berry fruit, hints of chocolate, smooth and with a great finish. I think it should be good for five to seven years, but it’ll never last that long in your cellar. As a thank-you to my Il Mulino dining companions for the amazing introduction to good port wine in New York City, I offered to take them shopping for suits and shoes at two “secret” places that sold them wholesale. Little did I know they had hired a limo to drive us to Secaucus, New Jersey, where the suit warehouse was located. The place had 20-30,000 suits from France and Italy. Samples were on racks, and after you chose the ones you liked they would go in the back and bring out your size. Paul, who said he wasn’t buying anything, ended up with four suits and an overcoat. After that the limo headed to Marty’s Shoes in East Orange, where we all bought several pairs of imported shoes at bargain prices. I still have one pair of ostrich skin loafers from that trip…and I still wonder how many people have ever gone shopping in a limo for discounted clothes. Just because I haven’t had Mateus or Lancers since I was in my teens doesn’t make me a wine snob. I’m learning all the time, and I love to share my findings. After I started drinking bigger wines like Bordeaux and Cabernet, I thought my rosé days were behind me. But the game changed in 2015. We were visiting Haut-Bailly in Bordeaux when the winemaker brought out some appetizers and a bottle of their rosé. It was delicious, and when we got home I began researching. The first thing I found is that many wineries are now making rosé; it certainly seems to be the new “it” wine. In some stores I have seen as many as 50 choices. We’ve tried quite a few and have concluded we like French rosé best. Here are some suggestions; be sure to serve them chilled. Plenty of citrus and strawberries, a nice pink color in your glass and in the bottle. We drank this wine last year and served it at several parties, and it was a real hit with our guests. This vintage is lighter in color, a pale pink. I love the wonderful citrus, cherries and spice. It’s just delicious.